Siri Tollerod stuns in white on the May 2018 cover of ELLE Norway lensed by Asa Tallgard. 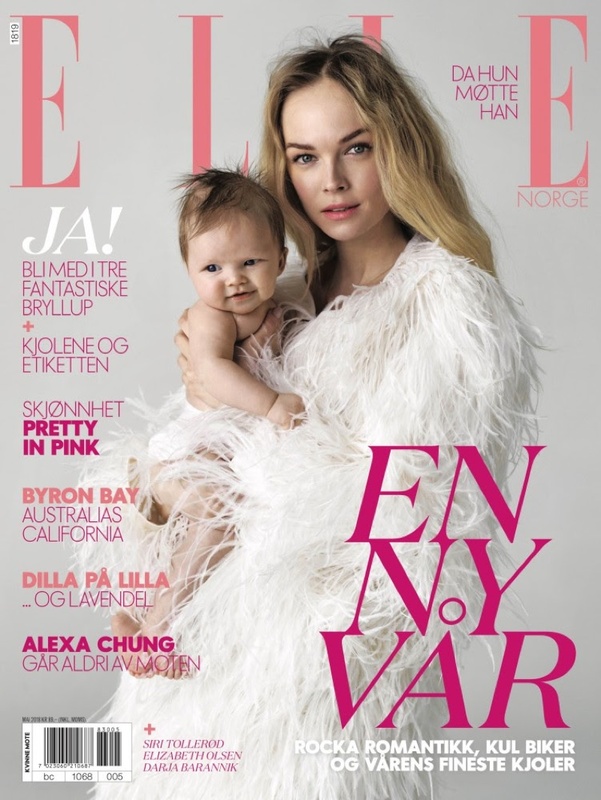 Posing alongside her baby daughter Louise, the blonde beauty wears a feather coat from Tina Steffenakk Hermansen. Inside the fashion glossy, Siri models chic ensembles from the spring collections. Fashion editor Petra Middelthon dresses the Norwegian face in labels such as Dior, Ganni and Loewe.